The first Sei Enam restaurant was opened at Kijang, Jalan Sungai Enam Laut Bintan Island. 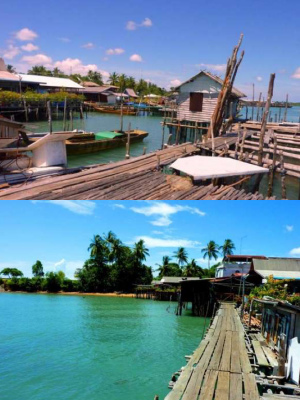 Sungai Enam Kijang is an old fishing village; fishermen used to be our primary patrons. These fishermen often shared their best recipes with us, and these, together with our own special family recipes, have been passed down through the generations and form the basis of the delicious food we serve today. “SEI” is a short for “Sungai” or river in bahasa melayu. The restaurant pays its tribute to its origin - kampong Sungai Enam.